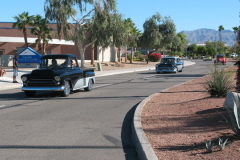 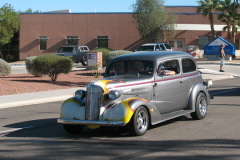 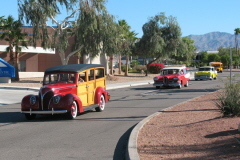 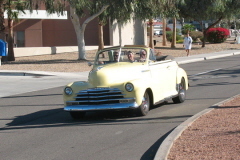 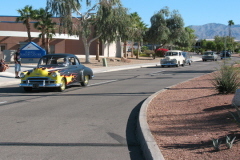 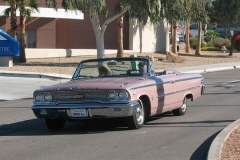 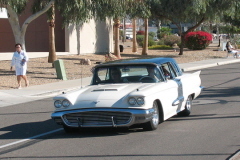 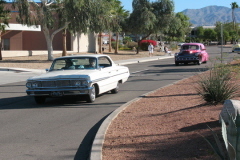 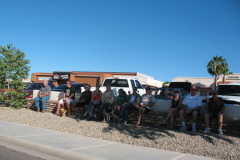 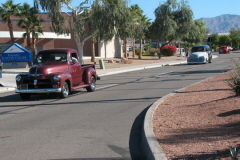 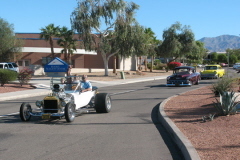 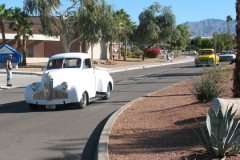 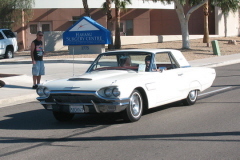 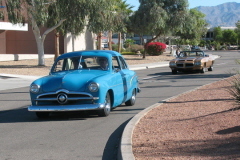 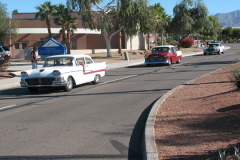 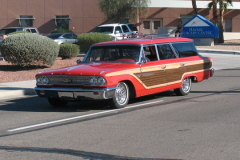 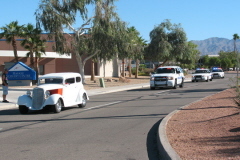 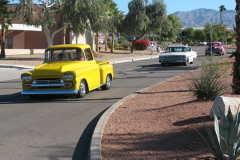 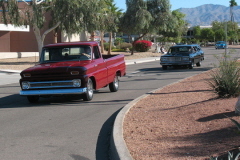 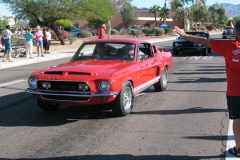 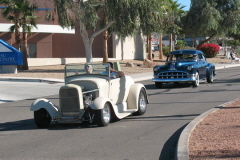 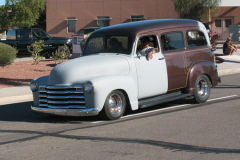 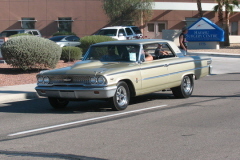 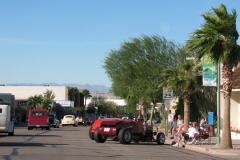 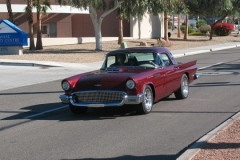 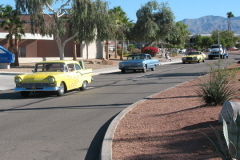 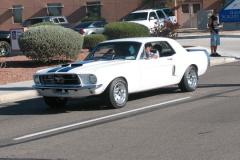 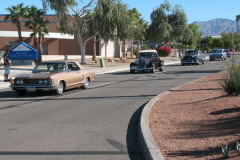 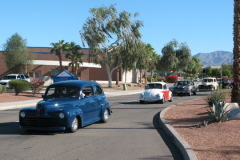 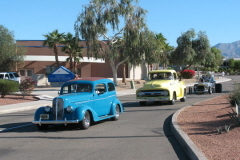 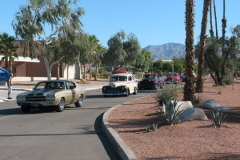 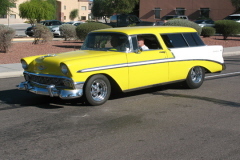 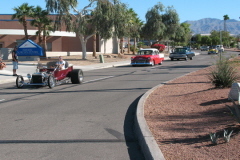 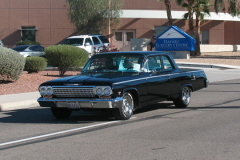 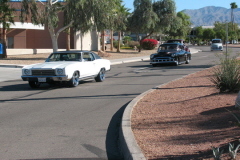 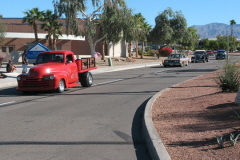 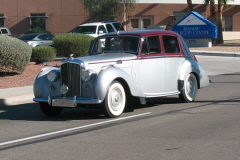 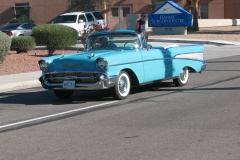 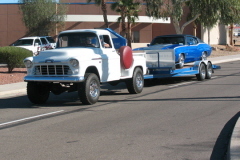 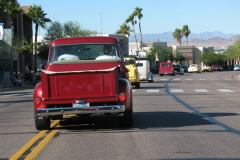 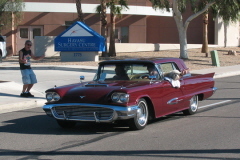 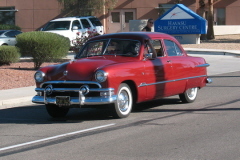 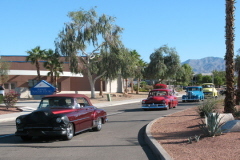 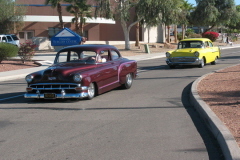 On Sunday morning, the cars that chose to stay and participate in our parade started staging at 9:00 AM. 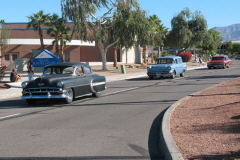 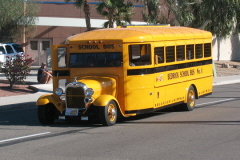 The parade started promptly at 9:30 AM and was let by president Tom Hopple's 56 Ford. 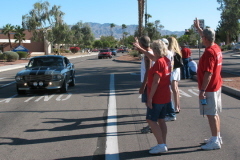 Club cars led the parade so our members could park at the end of the parade and wave good-bye to those following.